Our Team - Santori & Peters, Inc.
Norman J. “Skip” Santori and Maria E. Peters joined together to form one of the nation’s very first independent fee-based wealth management firms. Since 1993, Santori and Peters have served a small and exclusive group of clients who expect the best independent, objective and personalized wealth management advice from their advisors. We strive to not only meet those expectations but to exceed them as we help our clients accumulate wealth, preserve their wealth, and to distribute their personal wealth. Norman “Skip” Santori is President of Santori & Peters, Inc., Registered Investment Advisor, a personal wealth management firm located in Monroeville, Pennsylvania, a suburb of Pittsburgh. Skip is a 1972 graduate of Bethany College, where he earned a B.A. in Economics. He subsequently attended West Virginia University and obtained an MBA in 1975. 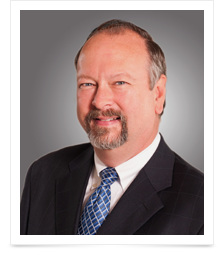 Committed to lifelong learning and excellence in his chosen field, Skip has also accrued designations as a Certified Financial Planner®, a Chartered Financial Consultant®, and an Accredited Investment Fiduciary®. Skip is a member of various professional organizations, including the Investment Management Consultants Association (IMCA), the Financial Planning Association of Pittsburgh; past president and board member of the society of Financial Service Professionals; past board member of the Institute of Certified Financial Planners and the Estate Planning Council of Pittsburgh. He was a member of Ed Slott’s Master Elite IRA Advisor Group from 2007-2013 and a charter member of the Sunrise Rotary Club of Monroeville. Within the financial services industry, Skip has served on various advisory boards, including Charles Schwab & Co., the Midland, and the CNA Companies. For over 20 years he was an adjunct professor teaching Personal Finance for the University of Pittsburgh College of Business Administration. He also taught various financial courses to other financial professionals in the Pittsburgh area seeking the Certified Financial Planner certification. Skip and his wife, Peggy, have two daughters: Lauren, a graduate of the University of Colorado with an MBA from Point Park University working in the advertising field in Pittsburgh; and Danielle, a graduate of the Masters of Science in Human Resources and Industrial Relations Program of West Virginia University, working in Houston, Texas. 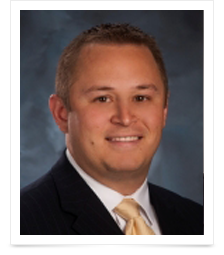 Ryan is a 2005 graduate of the Tepper School of Business at Carnegie Mellon University with a degree in finance. He also received his Master’s Degree in Business Administration from the Katz School of Business at the University of Pittsburgh in 2010. The following year he completed course work for an Executive Certificate in Financial Planning through Duquesne’s University’s School of Leadership and Professional Advancement and subsequently completed the requirements to receive the Certified Financial Planner (CFP)® designation. Ryan began his career providing investment advice to ultra-high-net-worth families while working for a multi-family office division of a Pittsburgh based bank. He then went on to become a partner at a local boutique investment management firm. Prior to joining Santori & Peters, Inc. Ryan ran a private financial planning firm where he concentrated on providing comprehensive financial planning services to individuals, families, and business owners. Active in the Pittsburgh community, Ryan serves on the board of directors for the Pittsburgh Zoo & PPG Aquarium. He is a graduate of The Leadership Development Initiative through Leadership Pittsburgh (Class XIX) and a member of The Pittsburgh Financial Planning Association. Ryan currently resides in Venetia, Pennsylvania with his wife, Kathleen, and their sons, Parker and Maddox. 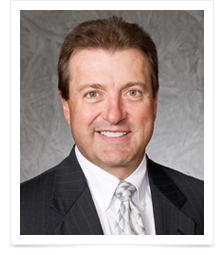 Jim entered the financial services industry in 1978 specializing in personal and business asset protection and tax planning through the proper use of estate planning techniques. Jim has helped hundreds of clients protect their assets during their lifetime and insure that the client minimizes risk and maximizes estate value. These techniques maximize wealth to family or others when estate transfer of asset ownership occurs. Primary focus is minimizing the tax impact from both federal and state income and estate taxes and maximizing assets to children or other family members. Jim has earned the designations, Accredited Investment Fiduciary® (AIF®), and Professional Plan Consultant® (PPC®). The AIF® designation is the industry’s first and only designation that demonstrates knowledge and competency in the area of fiduciary responsibility and communicates a commitment to standards of investment fiduciary excellence. AIF designees have a reputation in the industry as being the best positioned to implement a prudent process into their own investment practices, as well as being able to assist others in implementing proper policies and procedures. For this reason the AIF was named one of the “Ten Most Wanted” designations in the investment industry in Financial Planning magazine. The Professional Plan Consultant® (PPC®) extends this fiduciary excellence and commitment into the qualified retirement plan industry. Jim is working with local employers to help them reduce the hidden expenses within their 401(k) plans, reducing their ever escalating income taxes, while limiting their fiduciary liability and increasing their retirement assets. Jim has served on the board of several non-profit organizations in the past; he resides in Hampton Township with his wife Renée. They have three married children with growing families. 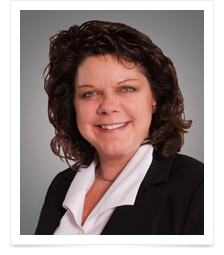 Julie has been with Santori & Peters, Inc. for ten years plus. Whether it’s the warm manner in which she greets clients or her friendly demeanor when answering the phone, Julie has every client factoid memorized or indexed for quick reference and always keeps the office running smoothly. In her spare time, Julie enjoys spending time with her family and visiting her parents in York, PA.
Peggy serves as the Chief Compliance Officer for Santori & Peters, Inc. developing, maintaining, revising, and monitoring the firm’s policies and procedures to ensure that Santori & Peters, Inc. remains in compliance with the state and federal regulatory requirements relevant to registered investment advisors. 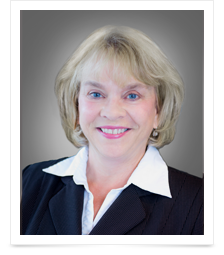 An attorney with more than 20 years of experience, prior to joining Santori & Peters, Inc. Peggy focused her legal practice on representing insurance companies and employers in litigation relating to various issues relating to workers’ compensation, bankruptcy, and commercial litigation. She is a graduate of Bethany College and the University of Pittsburgh School of Law. 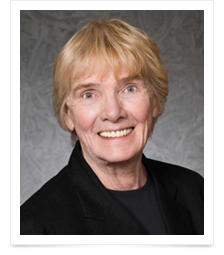 Peggy is a member of the Allegheny County Bar Association and the Greater Pittsburgh Compliance Roundtable. An avid reader, she also can be found outdoors—golfing, bicycling, or gardening. Maria Peters, co-founder of Santori & Peters, Inc., Registered Investment Advisor, a personal wealth management firm located in Monroeville, Pennsylvania (a suburb of Pittsburgh), passed away in 2014 after several years of retirement. Born in Hungary during World War II, Maria was educated and grew up in Switzerland. She immigrated to the United States with her family in 1947 to rejoin her father who was working on his own research project for Westinghouse Research Corporation. The family settled in Mt. Lebanon, Pennsylvania, where Maria graduated from Mt. Lebanon High School with honors. She then went on to attend Carnegie Mellon University, School of Architecture. Along the way Maria raised three children who share her analytical bent. Her eldest son John earned a PHD in Engineering, her daughter Kris earned her PhD in Economics and her son Charles earned a Master of Engineering and a Professional engineer designation. She was the most proud grandmother of eight grandchildren. Our clients know where they are financially 24/7. Santori & Peters, Inc. is registered as an investment advisor. The firm only transacts business in states where it is properly registered, or is excluded or exempted from registration requirements. Registration as an investment advisor does not constitute an endorsement of the firm by securities regulators. Santori & Peters, Inc. is a fee-only wealth management firm. “Fee-only” refers to advisors who receive no other compensation other than the fee clients pay. We do not receive a commission from a brokerage firm, a mutual fund company, an insurance company, or from any source other than our clients. Capture your risk tolerance and see if your portfolio fits you. Take A FREE Risk Assessment today!